When you’re trying to lose weight nothing bolsters your confidence and keeps you motivated like a good old fashioned compliment. An acknowledgement of your improved appearance from someone else reassures you that your hard work is paying off. A sincere compliment can mean the difference between letting yourself go or getting yourself going. Unfortunately, being nice to one another isn’t something that necessarily comes naturally to we menfolk. From nuggies in the playground to c-bombs in the pub, we’re far more inclined to express our affection for our fellows through a mixture of ironic aggression and gentle joshing. If at all. We think it’s important to feel comfortable giving encouragement to our friends face-to-face. That’s why we’ve asked our community over at the forum to put its many heads together and pinpoint the reasons we struggle with this, so we can figure out how to be cheerleaders. Big, hairy cheerleaders. Actually, this problem seems to be diminishing with each new generation, with the thirtysomethings overcompensating to the opposite extreme in the form of ironic flirting and the twentysomethings just being generally more comfortable with it. The fact is, if your bro is getting in shape and you want to give him a compliment, you don’t need to stare at his abs and mention that you can tell he’s been working out, or repeatedly utter “wow” – as forum member Shrinkingguy says, “If I were to compliment someone, I’d keep it simple”. In a similar vein, you might be worried that a compliment will come off as simply creepy, or sound disingenuous. 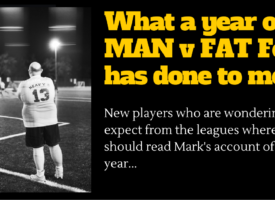 MVF founder Shan has encountered this problem himself; “Our local pub landlord lost weight and I couldn’t say anything that didn’t sound creepy or sarcastic”. This probably says more about the neuroses of the compliment giver than the receiver, eh Admin? The flip side of having trouble giving compliments is that we men have trouble taking them too, particularly those of us who struggle with our own body image and self-confidence. It’s easy to project that onto others and assume that they won’t take the compliment as it was intended. To be fair, you may be right, but if they’re already in that head space, your compliment won’t hurt. If anything, this is your cue to be complimentary more often – eventually they’ll have to concede that you are being sincere and learn to take a compliment. As we’ve found, one reason we worry that our compliments might come off insincere is our own insecurities about body image. If you are also in the process of getting in shape and at a later stage in that journey, you might worry that your friend will perceive your compliment as sarcastic. Conversely, if his journey is farther along than your own, it might be envy that’s holding your tongue, or causing you to over-think how your compliment might be received. In either case, you can rest assured that when you give a compliment, you’re far more likely to receive one in kind, be it awkward or not, which can only be good for everyone. Why not be the man who steps up for the team and gets that dialogue started? It could be the reason you have trouble giving these kind of compliments is simply that you aren’t used to receiving them. If your group of friends isn’t apparently the touchy-feely type then you might be wary of pioneering an alternative approach for fear of being mocked or ostracised. Of course, it might just be that all your friends are too wrapped up in their own stuff to even have noticed the new you. As forum member StokieDan puts it, “I don’t tend to notice these things on other people as I’m self-centred and tend not to look at others in that sort of way.” Again, others are far more inclined to give a compliment in return for receiving one than unprompted, so why not be the man who steps up for the team and gets that dialogue started? 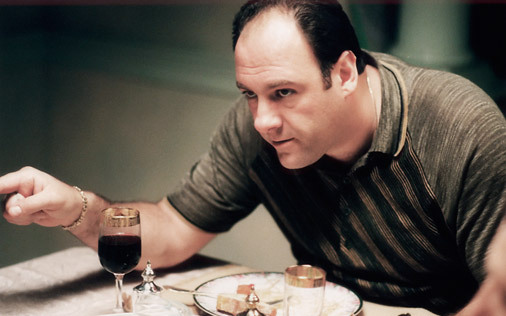 As the Sage Anthony Soprano Jr. oft lamented, we seem to have lost the strong, silent type. It could be that one some level we man are better off not expressing our feelings all the time, that we are weakened somehow by over-sharing and that we should aspire to the likes of Gary Cooper – those stoic manly men of ’50s Hollywood that our fathers admired and who are probably responsible for a generation of men failing to share their emotions with others. The truth, of course, is that these men never really existed anyway and that another word for not sharing one’s feelings is repression. Y’all know that ain’t no way to live. WHAT IF THEY’RE ACTUALLY ILL? This feature came about when we were discussing whether some men were worried about commenting on another’s weight loss in case it turned out to be a symptom of illness. 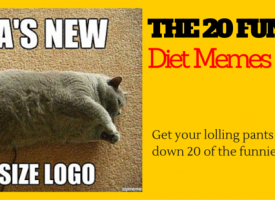 Men can often lose weight fairly dramatically and that change can be significant in a fairly short space of time. 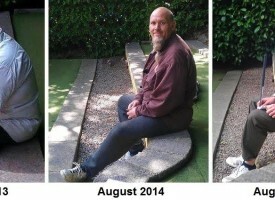 Nobody likes to put their foot in it, but let’s agree to this much: if you know someone well enough to have observed his weight loss, you know that man well enough to broach this topic. Worst case scenario, if his weight loss is due to illness; he’s not too likely to think less of you for asking – in fact, he may be extremely keen for a chance to discuss what’s happening. In all seriousness, best to avoid cliches like “You’re looking well” if you are concerned this might be the case. Ah, the old backhanded compliment. 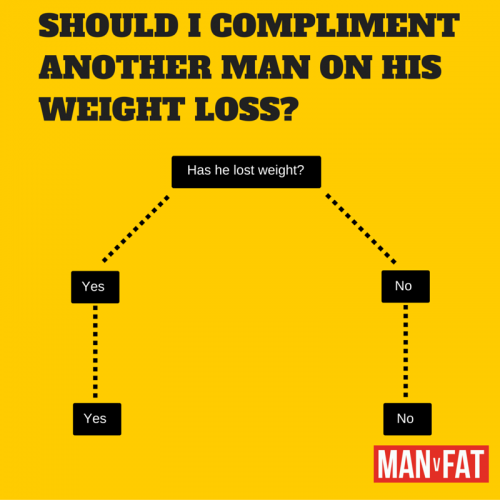 A big concern with complimenting another man on his weight loss is that you are, by implication, admitting that you had previously noticed he was overweight and therefore you may be hurting his feelings rather than boosting his ego. Honestly, if he is neurotic enough to focus on the negative side of a compliment, you should feel perfectly entitled to call him out on it and tell him straight that he should be proud of himself, looking ahead and not backward. What’s the opposite of schadenfreude? Compassion. Forum user Thesquarebit states simply “I never feel it’s my place to comment (on others’ appearances)”. It’s very common to feel this way, particularly for those of us who are also struggling with our own appearance. The fact is, acknowledging another’s achievement and bigging him up for same will always be welcomed. As a bonus, seeing that sense of pride flicker across his eyes (even if he tries to hide it) will be good for you too – giving compliments to others will boost your own confidence, reassure you that you’re feeling more comfortable in your own skin, comfortable enough to feel good for someone else. What’s the opposite of schadenfreude? Compassion – and that starts with learning to love yourself. And while that might sound sappy, I bet that deep down, if you let yourself, you might be thinking about the positive changes you’ve been making, and feeling proud of yourself. And with that in mind, maybe you’ll think about how to tell someone else that you’ve noticed how well he’s doing. Say, you’re looking trim… have you been working out? Do you struggle with compliments? Or you just want some more good things said about your weight loss? 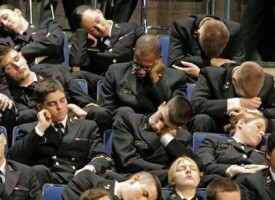 Head over to the forum where everyone is positively encourage to blow their own trumpets as long and as loud as possible. Do it now. 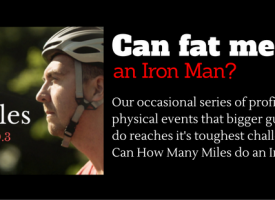 Can Fat Men Do…An Iron Man?